The great Bear Bryant is well-known for the famous quote, “Offense sells tickets, but defense wins championships.” In simpler words, it is difficult for an offense to be successful without an effective defense. Although this thought generally applies to sporting events, it also holds true to a financial advisor’s investment strategy. Investing is no walk in the park. Just like sports, not everyone is able to do it at a professional level. However, when it comes to investing, you need both offense and defense to keep yourself protected from risk. Any great financial planner or advisor knows that managing risk is far more important than making a profit and utilizing proper risk management is what leads advisors to profitable investments. To help advisors, we are going to share some investment risk management strategies, including tips that will help advisors protect themselves from losing money. In the investing world, there are numerous ways to approach the offensive strategy as an advisor. Advisors can aggressively invest in high-momentum stocks, buying into those companies that are most successful with the expectation they will continue their increased performance. However, just like in sports, an aggressive offensive approach is not always the answer. Sometimes, the game plan requires a more conservative offensive approach. Financial advisors can choose this more stable approach by investing in stocks that may be undervalued instead of investing in the stocks that are experiencing the most momentum. For example, some financial investors utilize the conservative investing approach by waiting for their targeted investments to hit a specific cost or worth based on analysis before buying into a certain stock. Whether they choose an aggressive or conservative approach, investors are likely to create some capital appreciation. When advisors are focusing on their investment offense, their main goal should be to increase or grow their money. As the chart indicates, even a small loss can require a large offensive push to recover and break even. It is easier for advisors to claim control of their losses, but how exactly is it done? Trends are a financial advisor’s best friend. A simple and efficient way to manage investment risk is by only committing to purchasing stocks or Exchange Traded Funds that are experiencing a trend. Once the stocks and funds are purchased, advisors can hang onto them until they violate their trendline support and sell them to have access to a gain. Financial investors can create their own trend lines by making a chart that connects a series of higher lows. If the price of the stock or fund breaks the support level by a fixed amount, they sell. Another way an investor can manage investment portfolio risk is by limiting their exposure. If an investor is faced with an investment that seems to be of a higher risk than others, they can choose to either invest only a small amount of their money in it or they can choose to not invest in it at all. You may find other advisors using this strategy in order to gain revealment to sectors of higher risks, like industrial, healthcare, or biotechnology. 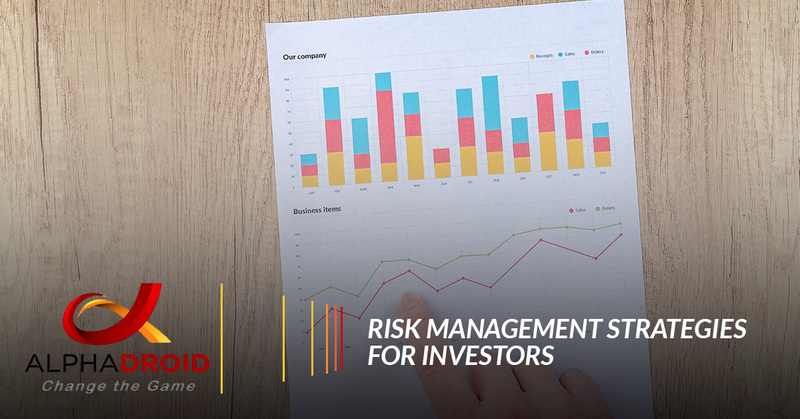 It is normal for experienced investors to try managing risk by selling stock investments that take up a large portion of their portfolios periodically. This is known as rebalancing. Investors and advisors will sell those stocks and assets, purchasing more of the funds and stocks that have underperformed. Advisors and investors have the power to place a stop loss order, which will automatically sell out part or all of your investment in a certain stock in the event that it drops below the present pricing point. The trick in this strategy is to set the pricing point high enough to limit capital loss and low enough to that you will not be stopped on a routine pullback. Advisors can limit the damage to their portfolios and force them to follow a strict defensive strategy. Those who move or ignore stop loss levels will generally be faced with larger losses in the end. When it comes to this strategy, this first exit is usually the best one. Investment diversification can be more complex than it seems. The purpose of diversification is to invest in sectors or asset classes that have become extremely correlated. Diversification is a great strategy that helps investors limit their risk; however, this strategy only works if the assets or sectors purchased are truly correlated. Before buying, it is important for advisors and investors to be mindful of at the recent performance of the assets instead of using historical relationships that may no longer be active. As you can see, there is both an offensive and defensive side to investing. There are multiple ways to play defense and claim control of your losses, like the ones mentioned above. If you are a financial advisor or investor who wants to improve your risk management strategies, AlphaDroid has the elite financial planning tools that may be the perfect solution. AlphaDroid’s financial planning tools consist of a selection of up to 12 ticker symbols with a few trading rules, crash protection options, and performance testing options. With the asset allocation software included, the tedious selection of most algorithmic parameters has been fully automated, allowing investors to focus on the bigger picture of risk management strategy construction, just as a sports coach must focus on selecting talented athletes likely to play well together. AlphaDroid is the answer for advisors who want to better their offensive and defensive investing strategies! To learn more about AlphaDroid and our algorithmic trading strategies, be contact us today!